Headaches are a common and debilitating ailment from which most people suffer at one time or another. Common types of headaches include tension headaches, migraines, cluster headaches and sinus headaches. Headaches can have many causes, but serious causes of headaches are rare. This review discusses the biological basis for non-conventional or non-mainstream approaches to the treatment of migraine. Dr. Frederick Taylor discuss in this context magnesium, riboﬂavin, coenzyme Q10, petasites, feverfew, marijuana/cannabis, and oxygen/ hyperbaric oxygen. Nutrition must affect the structure and functioning of the brain. Since the brain has very high metabolic activity, what we consume throughout the day is likely to dramatically influence both its structure and moment to moment function. It follows that nutritional approaches to all neurological disorders are being researched and entering medical practice, while nutraceutical use is a mainstay of public habits. This review discusses the biological basis for non-conventional or non-mainstream approaches to the treatment of migraine. This requires at least limited discussion of current migraine pathophysiologic theory. How nutrients and other chemicals and approaches are mechanistically involved within migraine pathways is the focus of this article. The nutraceuticals reviewed in detail are: magnesium, riboflavin, coenzyme Q10, petasites, and feverfew with additional comments on marijuana and oxygen/hyperbaric oxygen. This article reviews the science when known related to the potential genetic susceptibility and sensitivity to these treatments. As we know, the basic science in this field is very preliminary, so whether to combine approaches and presumably mechanisms or use them alone or with or without conventional therapies is far from clear. Nonetheless, as more patients and providers participate in patient-centered approaches to care, knowledge of the science underpinning nutritional, nutraceutical, and complementary approaches to treatment for migraine will certainly benefit this interaction. The first report on the levels of CoQ10 in human subjects with septic shock was published online on August 9, 2011 in the journal Critical Care. Sepsis is an inflammatory state resulting from the spread of infectious agents in the bloodstream. Sepsis and septic shock are a major cause of illness and mortality in the USA, with over 215,000 deaths occurring each year. 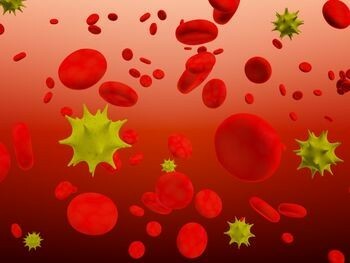 The finding in this study that CoQ10 is low in sepsis opens the possibility for potential therapeutic intervention as CoQ10 can be administered exogenously. Mitochondrial dysfunction is associated with increased mortality in septic shock. Coenzyme Q10 (CoQ10) is a key cofactor in the mitochondrial respiratory chain but whether CoQ10 is depleted in septic shock remains unknown. Moreover, statin therapy may decrease CoQ10 levels but whether this occurs acutely remains unknown. We measured CoQ10 levels in septic shock patients enrolled in a randomized trial of simvastatin versus placebo. Post-hoc analysis of a prospective randomized trial of simvastatin versus placebo in patients with septic shock (ClinicalTrials.gov ID: NCT00676897). Adult patients with suspected or confirmed infection and the need for vasopressor support were included in the initial trial. For the current analysis, blood specimens were analyzed for plasma CoQ10 and low-density lipoprotein levels. The relationship between CoQ10 levels and inflammatory and vascular endothelial biomarkers was assessed using Pearson or Spearman correlations. 28 samples from 14 patients were analyzed. CoQ10 levels were low with a median of 0.49 (IQR: 0.26 – 0.62) as compared to healthy control patients (CoQ10 = 0.95 umol/L +/- 0.29; p < 0.0001). Statin therapy had no effect on plasma CoQ10 levels over time (p = 0.13). There was a statistically significant relationship between CoQ10 level and vascular cell adhesion molecule (VCAM) (r2 = 0.2; p = 0.008), tumour necrosis factor- (r2 = 0.28; p=0.004), interleukin (IL)-8 (r2 = 0.21; p= 0.015), IL-10 (r2= 0.18; p=0.025), E-selectin (r2= 0.17; p=-0.03), IL-1ra (r2 =0.21; p=0.014), IL-6 (r2=0.17; p=0.029), and IL-2 (r2=0.23; p=0.009). Adjusting for low-density lipoprotein (LDL) levels there was a statistically significant inverse relationship between CoQ10 and VCAM (r2 = 0.24; p = 0.01; Figure 3) and IL-10 (r2 = 0.24; p = 0.02). CoQ10 levels are significantly lower in patients with septic shock compared to healthy controls. CoQ10 is negatively associated with vascular endothelial markers and inflammatory molecules though this association diminishes when adjusting for LDL levels. The complete article is available as a provisional PDF. HOBOKEN, NJ – A recent study published in Panminerva Medica reveals that a Pycnogenol® and Coenzyme Q10 (CoQ10) combination (PycnoQ10®) taken by stable heart failure patients as an adjunct to medical treatment naturally strengthens the heart, increasing the blood volume ejected with each beat. As a consequence, the oxygen-rich blood supply to the organs improves, and patients become more physically energetic. Furthermore, blood pressure, heart rate and respiratory rates were improved among patients. 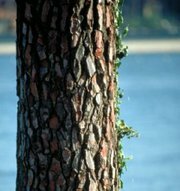 Pycnogenol® (pic-noj-en-all) is an antioxidant plant extract from the bark of the French maritime pine tree and has been clinically proven to improve endothelial function and blood flow. As evidenced by this study, Pycnogenol®, in combination with CoQ10, offers a potent contribution to heart health management. Each year there are an estimated 400,000 newly diagnosed cases of heart failure in the U.S., according to the National Heart, Lung and Blood Institute. Heart failure is a common, chronic, long-term condition that develops as a result of hypertension, when with heart chamber walls wear out and heart muscle weaken. The disease can be costly, disabling and potentially deadly and is characterized by the heart’s inability to pump or eject sufficient amounts of blood to the organs. The 12-week single-blinded, placebo-controlled observational study was conducted at Chieti-Pescara University in Italy and investigated the effectiveness of Pycnogenol® and Kaneka CoQ10 (PycnoQ10®) supplementation in 53 patients. Patients were between the ages of 54 and 68 and had mild to moderate hypertension, with stable congestive heart failure. Patients recruited had been diagnosed with heart failure with an ejection fraction lower than 40 percent of their original capacity. The ejection fraction, the pumped blood volume to total left heart ventricle volume, was measured by high-resolution ultrasound. Additional inclusion criteria were a stable level of heart failure within the past three months and stable New York Heart Association (NYHA) class II (mild symptoms) or III (moderate symptoms) heart failure classification. NYHA functional classification system relates symptoms to everyday activities and the patient’s quality of life. All patients were taking prescribed heart medication and most patients used three or more drugs for heart failure treatment. Patients were divided into two groups: One group received capsules with a combination of 15 mg Pycnogenol® and 50 mg CoQ10 from Kaneka. The second group received placebo capsules in addition to their individual prescription medications. The treatment and control groups were equivalent at baseline. Patients were instructed to take seven capsules, in the morning after breakfast, each day. Patients’ exercise capacity, as judged by walking on a treadmill, ejection fraction and distal edema (swelling in the leg) were evaluated. At the conclusion of the 12-week study, there was significant decrease of systolic and diastolic pressure as well as a decrease in heart rate in the PycnoQ10® group, compared to marginal improvements in the control group. Systolic and diastolic pressure was notably lowered with PycnoQ10® from 139.2 to 133.2 mmHg and 82.3 to 77.3 mmHg, versus 140.3 to 139.5 mmHg and 83.4 to 81.2 mmHg in the control group. Heart rate was also significantly lowered from 78.4 to 74.2 beats per minute as compared to 79.1 to 78.4 in the control group. There was also considerable decrease in respiratory rate in PycnoQ10® patients from 23.1 to 21.2 breaths per minute versus 23.3 to 22.3 in the control group. The treatment with PycnoQ10® was found to significantly increase heart ejection fraction by 22.4 percent after treatment, whereas it only slightly decreased in the control group. The physical abilities of patients improved substantially as evidenced by 3.3 times longer walking distance on a treadmill in PycnoQ10® treated patients, versus marginal improvement in the control group. As the heart is strengthened, a larger blood volume is pumped with every beat. This allows the heart to lower the beat rate and still sufficiently supply body organs with oxygen. The quality of life of patients also improved with PycnoQ10®, as validated with the Karnofsky Index, a performance scale that rates patients according to their functional impairment. At baseline patients had Karnofsky values of 43 percent, which is categorized as “handicapped and dependent on qualified medical help.” After treatment with PycnoQ10® the values were up to 54.7 percent, described as “help and medical assistance are often required.” No significant improvement of Karnofsky Index was observed in the control group. The distal edema, expressed as the percentage of the initial volumetric value, decreased significantly to 72 percent in PycnoQ10® treated patients but was increased by four percent in the control group. Nine PycnoQ10® treated patients (out of 32) and three (out of 21) taking placebo improved NYHA class. The study showed decreased blood pressure and heart rate, confirming results from prior studies using Pycnogenol® and CoQ10. Previous studies have found that Pycnogenol® significantly improves endothelial function and consequently improves hypertension as well as long-term consequences such as renal function problems. To date, Pycnogenol® has been investigated in more than 30 clinical trials related to cardiovascular health. Belcaro G, Cesarone MR, Dugall M, Hosoi M, Ippolito E, Bavera P, Grossi MG. Investigation of Pycnogenol® in combination with coenzymeQ10 in heart failure patients (NYHA II/III). Panminerva Med 2010; 52 (2 Suppl 1): 21-5.